Do you know that flame has a magical power? Fire bring together people from time immemorial. When in the house lights a fire in a fireplace or candles, it attracts the whole family. Even they realize how and why, but suddenly, all family members gather at the fire. The reason is the magical power of fire. He not only delivers your house symbolism, but it can also be complementary and supporting the heating element. A good feng shui living room is serene, inviting and a peaceful retreat where you can slip off your shoes and relax. If you have a living room which is too big or too small or an irregular shape it will not allow the energy to flow. A good feng shui living room should not higher than the dining room and is located in the outer half of the home. The fireplace is the best place in the living room, and likely in any room as we design them in any settings such as kitchens, bedrooms, bathrooms, etc. However, it is necessary to use the fireplace regularly. Otherwise, it may work the opposite, as “hood” of positive energy, and thus can pick the beneficial flow of life. Fireplace should be according to the principles of Feng Shui always clean. At the heart of the fire should always be pre-loaded with timber and prepared for making a fire. Fireplaces should never be empty. 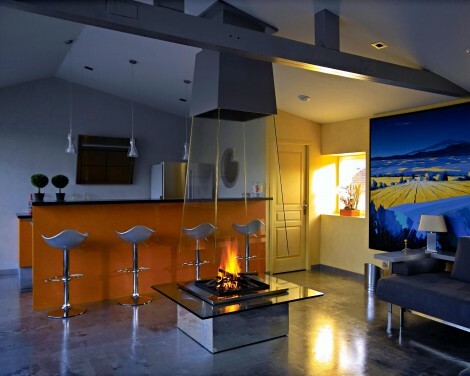 Many modern homes have fireplaces located in the middle of the living room such as suspended or free standing fireplaces. 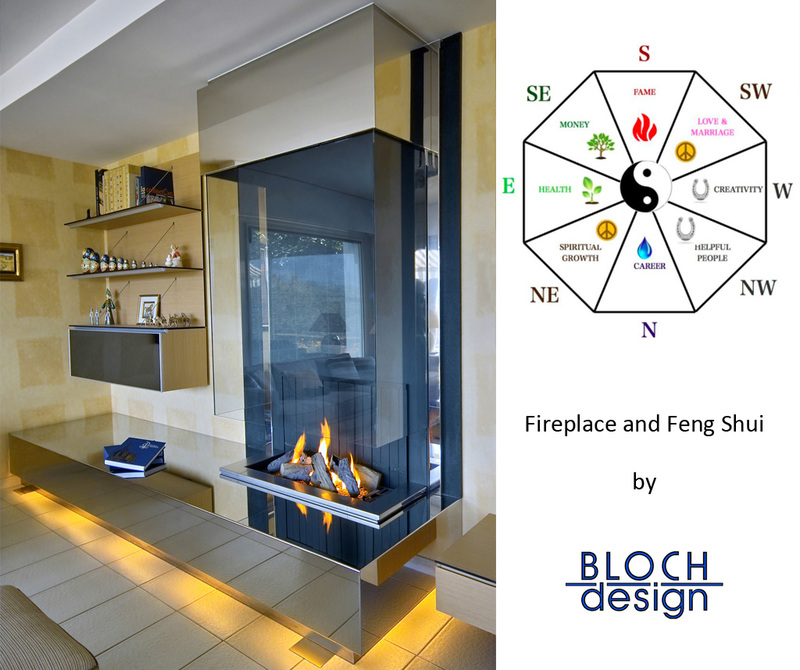 Feng Shui tends to prefers wall fireplaces as it does not create a strong energy in the house “cchi” imbalance. However, many of our designs are made with glass hood, thus offering transparency, light and no obstruction, which are in accordance with the principles of Feng Shui. Fireplace and fire are the elements in nature. Fireplaces are a pleasant place of rest, family gatherings and quiet. If constructed, should become an integral part of every home because they are not only decorative element. The proper location and use of fireplaces can stimulate wealth and are able to “dispose of” a lot of pathogenic energy from space (terrestrial radiation, negative emotions or energy attacks). There is no universal recipe for the location of a fireplace because the fire is one of the two hardest controllable elements. The fireplace can be placed only in certain directions of the world, where is not the problem of fire element. A fireplace is in the South West is sure to brings added romance into your love or married life. In the North East the fireplace helps you keep a cool and calm head with clear thinking. Also it brings you education luck. Good is also the North East direction. Do not have a fireplace in the West, North West, South east or North of your living room. A fireplace sends energy out of a home; a mirror above the mantel or a mantel covered with mirrors or in polished metal such as stainless steel bounces energy back in. Feng Shui masters strongly recommend that fireplaces be build only by persons who control the craft and have sufficient experience.